What value do airlines place on perceived quality and branding in Y class seating? Project Surface is a PITCH initiative aimed at exploring the application of enhanced surface finishes and branding on the PF3000 economy seat. 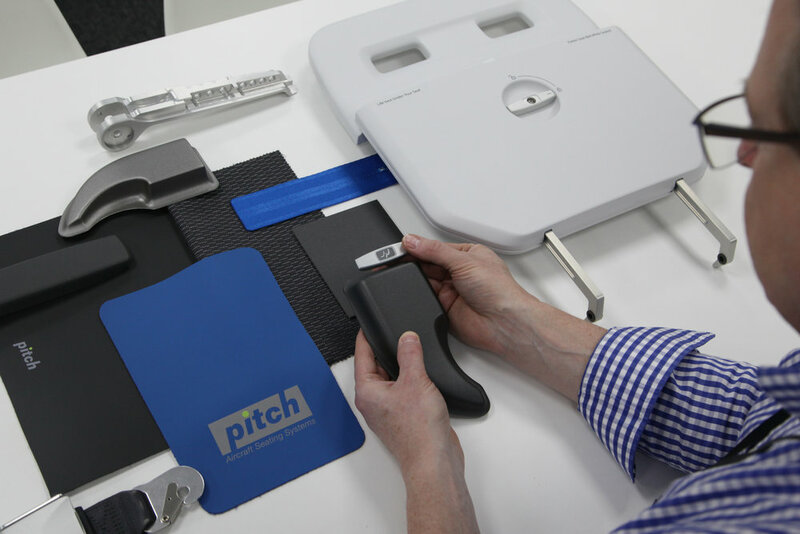 PITCH has worked closely with its supply base to develop a design scheme with certified plastic finishes that are usually associated with business class products. We will be showing the results at the Hamburg AIX 10-12 April 2018 on the PITCH stand which is located on the upper floor Hall B3 (Stand 3UA51).